During October, with every 2 gallon purchase of Beauti-tone Designer Series Paint, we’ll deliver a FREE large Gourmet Pizza with 3 toppings and 2 free cans of Coke to any home in our delivery zone (see map below). Visit Pollocks Home Hardware’s paint department and select 2 gallons of Beauti-Tone Designer Series Paint in any finish. Our Paint Experts and in-store technology will help you choose the perfect colour you desire. We do custom colour matching as well. 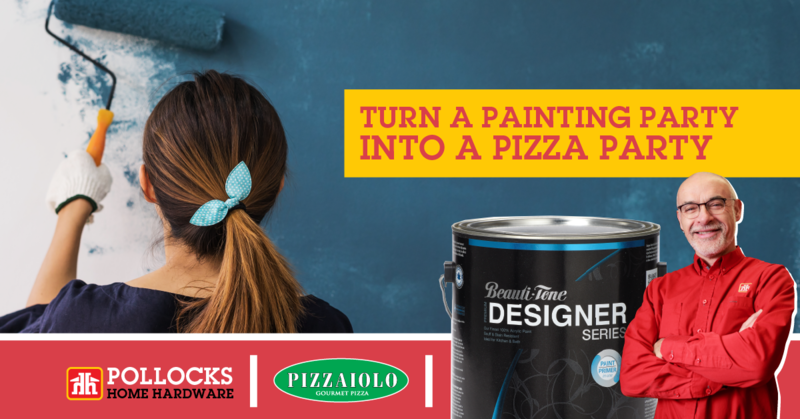 With the purchase of every 2 gallons of Beauti-Tone Designer Paint, you’ll receive a Pizzaiolo gift card for a large pizza with 3 toppings, 2 free cans of Coke and free delivery, valued at $19.94 ( $16.95 Pizza + $2.99 for delivery). From Oct. 1 until Oct. 30, call Pizzaiolo on Roncesvalles or Bloor West Village and redeem your gift card. With delivery of your pizza, present your gift card to Pizzaiolo’s delivery person. It’s as simple as that! 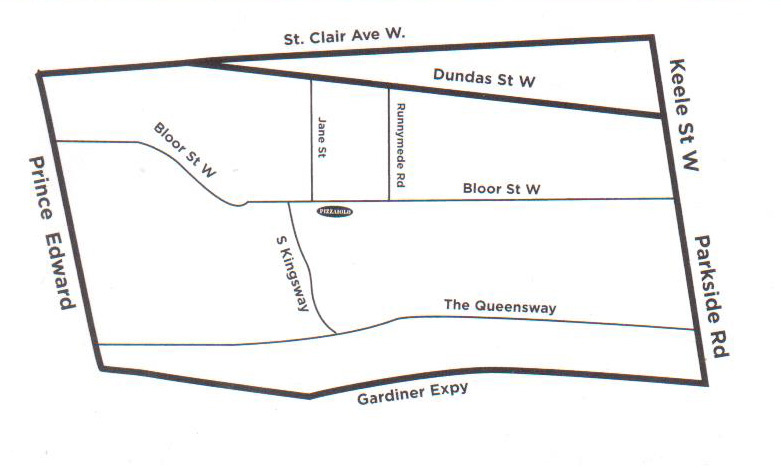 If by chance, your home is not in our delivery area simply pick up your pizza from Pizzaiolo at 383 Roncesvalles or 2425 Bloor St. W. While delivery is free, we do kindly request that you tip our drivers for their service. Beauti-tone Designer Series paints are a high quality, 100% acrylic paint and primer in one that provide excellent coverage and superior durability which makes the paint resistant to stains, scuff marks and mildew. It dries to touch in an hour’s time. On top of the superior performance, low odour and fantastic selection of designer colours, Beauti-Tone Designer Series Paint is a Canadian product, proudly made in South Western Ontario. Pizzaiolo - 383 Roncesvalles Ave.